Firstly, I got a book that I've mentioned several times in the past and which I finally now have in my possession - The Fault in Our Stars. This was the first book I grabbed and I knew I had to get it. 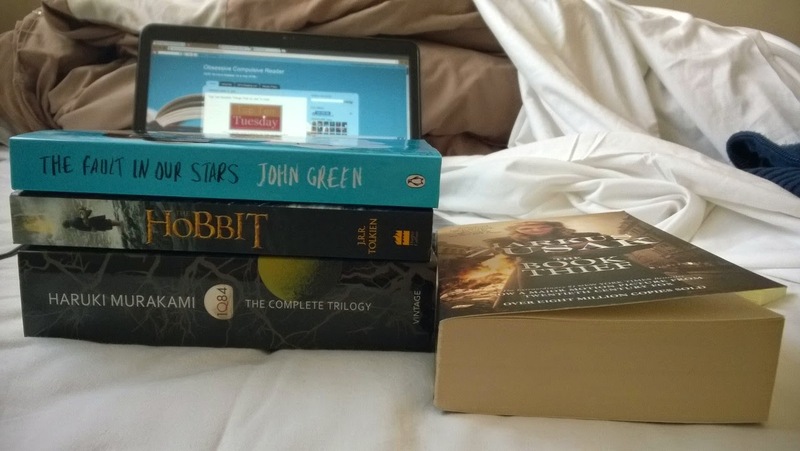 Yes, I haven't read TFIOS yet and I still haven't read any of John Green's books but it's now finally in my TBR and I will get to it for sure. Having recently finished The Book Thief by Mark Zusak, as soon as I finish TFIOS, I will have read the top 5 books on the 101 Best Books list. 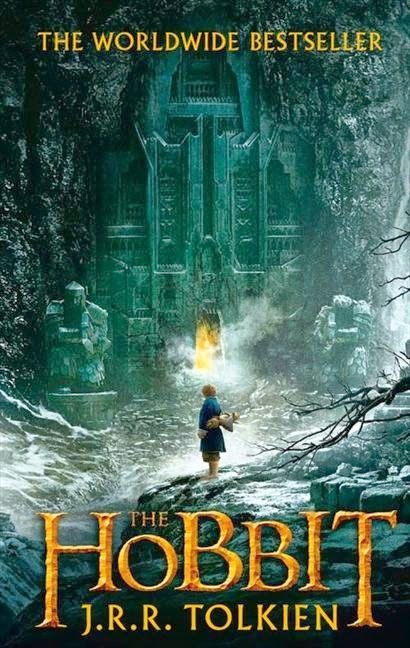 The next book I got was The Hobbit by J.R.R. Tolkien. To my eternal shame, despite The Lord of the Rings being my favourite novel of all time, I never got around to reading The Hobbit. I've ever read some volumes of The Simarillion for crying out loud! But yes, I am definitely looking forward to reading this book and then watching the movie adaptation. And yes, I haven't gotten around to that either. So much to read and watch in so little time! The last book that I got was the omnibus edition of Haruki Murakami's 1Q84. To be honest, I'm not too familiar with the story premise but I have heard some great things about this book and I'm intrigued to find out what this book is all about. I've never read The Hobbit but I do have experiences with the other two books. 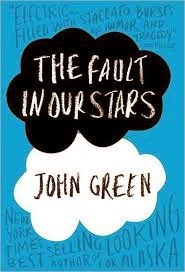 The Fault in our Stars is a book I think any book lover she read at some time or other, although I do know it isn't for everyone. Also, I think if you read it now a lot of the 'hype' has died down (what with the film anticipation at a high now) it will be more enjoyable - I hope to reread it some time in the future. As for 1Q84, I bought on whim when I was out of the book loop a little and started to read once I knew a little more about Murakami's work. Unfortunately, I couldn't make it through the first 100 pages or so. There was just something about the writing style that didn't sit right for me, which is a shame really because I know so many have enjoyed his work. I do hope to pick up another of his books at some point or other though, for a second chance you know. I hope you enjoy all of these books when you read them!